You simply can’t get much closer to art than this – it’s a CGI animation, created by art studio Prudence Cuming Associates, to take viewers on a journey across the heavily textured surface of Damien Hirst’s Veil of Faith paintings, which made their debut at the Gagosian Gallery in Los Angeles in March. 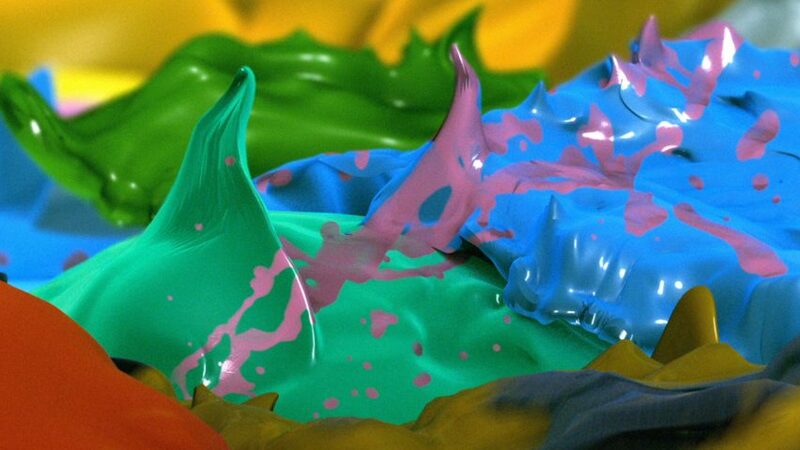 The CGI uses a 4K-resolution camera to capture pull-back photographs of the painting and high-resolution macro shots of each part of the paint to mimic the texture and shape created by Hirst’s paintbrush. However, the painting have raised eyebrows in Australia for bearing an “uncanny similarity” to works by indigenous artists from the Central Desert. Hirst’s agent said the artist had not been aware of the indigenous art work and the PR for the launch said the paintings drew inspiration from pointillism and intended to build on Hirst’s 1990s Visual Candy series. Hirst is perhaps most famous for his early 90s works ‘Natural History’. Preserving creatures in minimalist steel and glass tanks filled with formaldehyde solution, he created a “zoo of dead animals”. In 1992, the shark piece, ‘The Physical Impossibility of Death in the Mind of Someone Living’ was unveiled at the Saatchi Gallery’s ‘Young British Artists I’ exhibition. The shark, described by the artist as a “thing to describe a feeling”, remains one of the most iconic symbols of modern British art and popular culture in the 90s.